Federal Bank, in association with The Times of India opens the gateway to the best debating forum for all college students in the country who pride on their oratory skills and want to voice their thoughts about their home state. 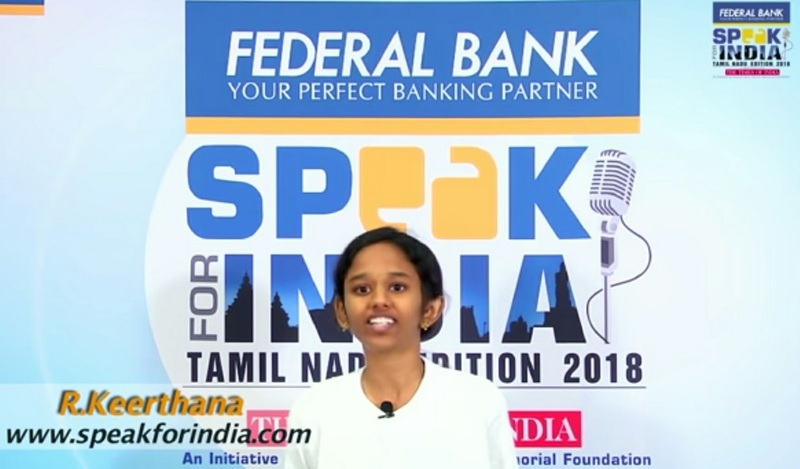 Speak for India – Tamil Nadu edition 2018 is a journey to find the most vibrant, confident and persuasive debater from the state of Tamil Nadu. 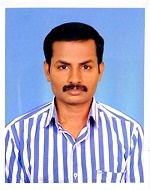 The Tamil Nadu Edition would be held in two languages – Tamil and English. Phases of evaluation would include district, zonal, semi-final and the final round. R.Keerthana, BHMS student from Vinayaka Mission's Homoeopathic Medical College, Salem has been nominated as College representative in 'Speak for India', and was in top 30 contestants in the competition. Kindly encourage her by casting your vote for her to win the competition.